Just as a quick note before we get going: since there aren’t too many Penguins games in a week, I am going to start doing the Q and A monthly rather than weekly. Often times, there is not too much that happens in a week that becomes “question worthy,” and I would rather answer upwards of 10 questions in one huge article every month than answer around 1-3 in a week. So the next Q and A will be published on December 1st regarding the Penguins progress up through the end of November. With that being said, let’s get to this week’s questions. Tyler Godwin: I know it’s early, but what are some positions the Penguins could look to improve through trade and who could they target for those positions? Brad Franjione: The Penguins have been playing well as of late, but I really think they need a physical presence somewhere in their lineup. Enter Dustin Byfuglien. I actually briefly mentioned Byfuglien in my previous Q and A article, but let’s talk about him a little bit more. Dustin Byfuglien is an absolute monster at 6′ 5″ and 265 pounds. He can hit, clear out the front of the net, and also be the guy that could even come to the aid of guys like Crosby and Malkin if need be. The biggest upside of Byfuglien is that he isn’t just some big guy who can hit people and do nothing else. He is actually a smooth skater and has potential offensive upside as well. Byfuglien currently is a +4 with Winnipeg and has 6 points (2G – 4A – 6P) in 12 games. Pretty solid stat line from a 6′ 5″ guy weighing 265 pounds. However, one of the biggest reasons the Penguins should go after Byfuglien? He is a power play threat. The Penguins power play, although it converted once in their most recent game, is still 28th in the NHL. Byfuglien would help their cause. He has a bomb of a shot, as you would expect from a guy his size, and can quarterback a power play quite well. Although I love Kris Letang, he never really has proven himself as a good “power play quarterback.” That’s just my opinion. Although Pouliot is in the AHL, I would love to see him quarterback the top power play if and when he gets called up this year. I also would not mind giving Maatta that chance. But if the Penguins acquired Byfuglien, I think he becomes your power play quarterback, and a guy that will help the power play numbers improve drastically. So what do the Penguins give up to get Byfuglien? I would use Perron in the centerpiece of that trade. I mentioned this also in my previous Q and A. He is a good player, but just does not seem to be meshing anywhere in the Penguins lineup right now. He still does not have a goal, and is currently on a line with Evgeni Malkin and Phil Kessel. The Penguins’ forward depth is outstanding, and although their defense could use a top 4 guy, the Penguins are tied 1st in the NHL is goals allowed per game (although this is partially due to the tremendous play of Fleury). You fill all the potential “needs” of the Penguins with Byfuglien. Doug Godwin: After the quick start last year, the power play has been horrible ever since. Besides just shooting the puck, what is the true issue here? Brad Franjione: This is a great question. Actually, it is such a good question that I am not sure if there is a clear cut answer. That being said, I’ll let you know what I think. So the Penguins have a top power play unit consisting of Phil Kessel, Evgeni Malkin, Sidney Crosby, Kris Letang, and Patric Hornqvist. Last year, the Penguins had a similar top unit, except obviously excluding Kessel. In the first 11 games of last season, the power play was clearly working. The Penguins scored on 19 of 46 opportunities, which is about a 41.3% success rate. Although I would love to see the Penguins with a power play consistently clicking at 41.3%, I think we all knew the power play was going to drop off. That being said, it dropped off way more than it should have. After the first 11 games of last season, the power play only succeeded 30 times in 208 tries, which is about a 14.4% success rate. About 2/5 of the Penguins total power play goals last year came in the first 11 games of the season!! Under Mike Johnston and Rick Tocchet (excluding the first 11 games of last year), the Penguins power play has succeeded 34 times in 243 tries, which is about a 13.9% success rate. The Penguins have, arguably, the best forward corps in the NHL. Minimally, they are top 5 team in this category. Their power play SHOULD be at about 25% in my opinion. But they are not even close. Well, obviously they need to start shooting the puck more. You can’t score goals by just passing the puck around in the offensive zone all night. So, besides that. What’s the issue? I see two main issues, personally. Again, who knows if these are the real issues behind this power play, but here’s what I think. First issue, when the Penguins shoot, the puck needs to be on net. I watched a game the other night and it seemed like every shot or one-timer was fired high and wide, banked off of the boards, and went all the way out to neutral ice. They can’t be helping the other team do their job. Every shot that they shoot doesn’t have to go in, but at least hit the net with it. Even if it means taking a little bit of anger out of the shot. Second issue, the Penguins need to shoot faster. And no, I’m not talking about the speed of the shot. I mean they need to shoot the puck early in the power play. Most teams while shorthanded will play in a box-type formation in the defensive zone. When they Penguins control the puck and refuse to shoot the puck on net, this box will stay in formation. The Penguins can pass and pass all they want, but that box will not move. What I do notice, however, is that when the Penguins DO shoot the puck early, that defensive box collapses, which opens the door for more opportunities. If the Penguins power play is going to improve, they need to get the puck on net early and often, put it on goal, and get the other team out of position. This is how I think they are going to succeed. Casey Chafin: Why is Beau Bennett still on this team? He should have been gone 3 years ago. Most injury prone players like Bennett typically make up for it by being really good when they are healthy, but he does not seem to do that. Considering we now have a new coach and GM, as opposed to the ones that drafted him and thought highly of him, why is he still around? Brad Franjione: Well Casey, I see your argument here. I have not been a huge Beau Bennett fan myself due to his consistent injury problems. The guy got injured celebrating a goal this season. Geez. So, why is Beau Bennett still around? Here are some arguments in support of Beau Bennett. First of all, he is only 23 and still has potential. I remember last preseason, Bob Steigerwald, one of the Penguins’ announcers, was quoted saying something along the lines of “Besides Crosby and Malkin, Beau Bennett is the most skilled player on this team.” That is saying something. Second of all, he is only signed to a 1 year deal at $800,000. To have a guy like him on your team for that cheap is huge. AND it is only a 1 year contract. The Penguins did not want to offer him anything long term because he has been injury prone. If Bennett had a 3 year deal woth 2 million a year, then yeah, I definitely see your argument, but that is not the case. Thirdly, Bennett made some huge improvements in the offseason. He knew that he has been injury prone, and he wanted to get better and earn himself a roster spot. In the preseason, Bennett scored a team high 3 goals, and so far this year, he has 2 goals in only 6 games. To put this in perspective, Malkin and Kessel have 4 goals each. They have played all 11 games. 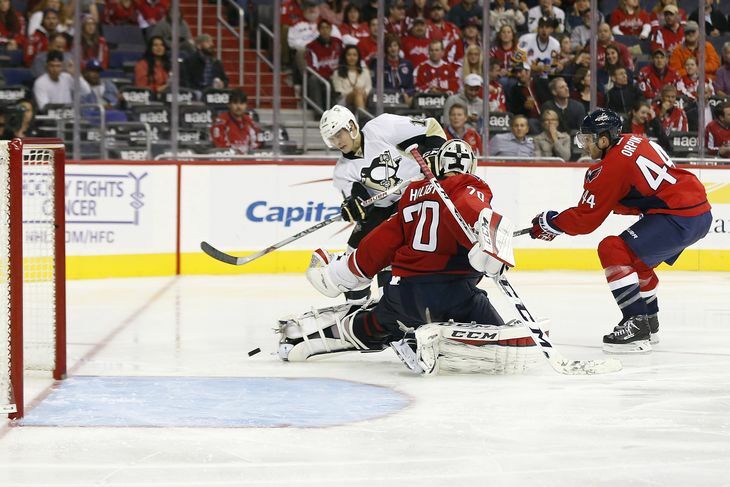 Past that, Hornqvist, Bonino, and Kunitz have 2 goals each, and they have also played in all 11 games. Bennett has more goals than Crosby, Letang, and Perron, all of who have played all 11 games. Give the guy some credit here. Let’s get into some advanced statistics. In the NHL, there are stats such as plus/minus, goals, assists, and points. However, I am going to look at iCorsi/60 and iFenwick/60 stats for Beau Bennett. iCorsi/60 is just basically an individuals Corsi for every 60 minutes that they play. Similarly, iFenwick/60 is just an individuals Fenwick for every 60 minutes they play. Both of these stats, Fenwick especially, are strong indicators of possession, since a skater needs possession to shoot the puck. So far this year, Beau Bennett has a iCorsi/60 of 15.84 and an iFenwick/60 of 13.2. Out of 13 forwards, his iCorsi/60 ranks 4th among forwards behind only David Perron, Daniel Sprong, and Phil Kessel. His iFenwick/60 ranks 3rd among Penguins forwards behind only Daniel Sprong and David Perron. To put this into perspective even more, Crosby ranks 8th with an iCorsi/60 of 11.48 and Malkin ranks 12th with an iCorsi/60 of 8.73. 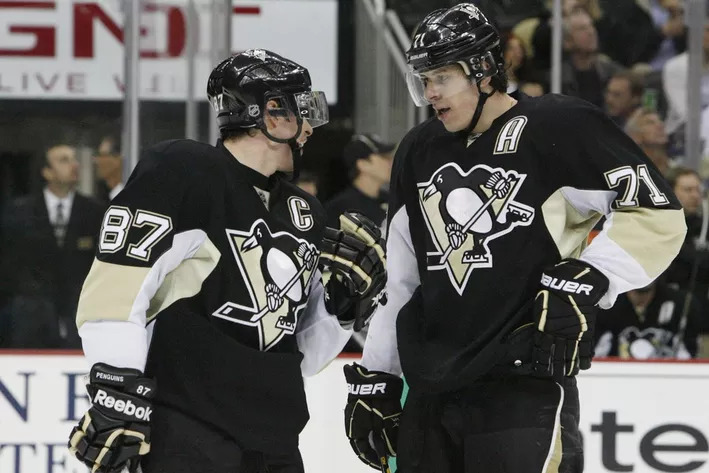 In addition, Crosby is 9th among forwards with an iFenwick/60 of 8.97, and Malkin ranks 12th with an iFenwick/60 of 5.95. You do not have to be completely sold that Bennett is some God-send. I am not making that claim. But for his salary that he has and his impact to the team, even with being injury prone, I do not have a problem with where he is, and would not be surprised if the Penguins signed him to a one-year deal after this season, even with a new coach and GM. Thank you as always to those who participated this week! I will begin doing this monthly now, as stated in the intro, but keep updated with everything by following me on Twitter @FranjiPensPress and like me on Facebook at Franjione Pens Press. My next article will be posted late tomorrow night after the Penguins battle the Canucks in Vancouver looking for their 5th straight win. Puck drop at 10 pm. Buff is a nice thought for the Pens, but there’s a problem. The Jets won’t accept anything the Pens can give up for him. They have plenty of scoring depth, and they need their second/third line to give their kids (Nick Ehlers, Nic Petan, Andrew Copp) high NHL minutes vs sending them down to the Moose. The Jets would want a solid, NHL ready Dman with youth to replace the solid, NHL Dman with experience. So for the Pens, that’d be one of Maatta, Pouliot, Clendening, etc, which I don’t see GMJR giving up. Teams like Boston or Columbus who need that T4 Dman will be able to give up some pieces for him (1st rounder, Yevenko, Bjorkstrand), and Chevy would take a deal like that. I could see Perron getting moved later in the season, just not to Winnipeg!